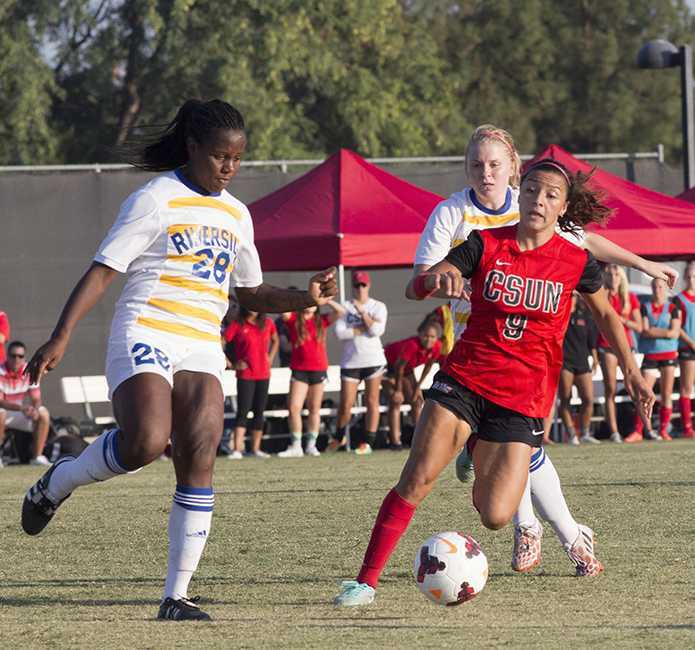 Pulling off a feat that the club hasn’t seen in a decade, CSUN women’s soccer (6-7-1, 3-0 Big West) edged out UC Riverside Highlanders (6-5-3, 1-2-1 BWC) Sunday at home with a 1-0 advantage earning their third consecutive win in conference play. 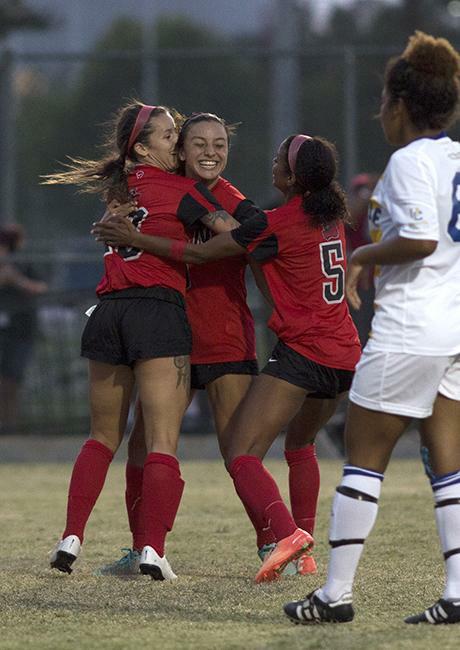 Earning the Matador goal for the win is sophomore forward Cynthia Sanchez who came out strong early in the second half and found the net off a feed from senior midfielder Brittanie Sakajian and sophomore defender Camille Watson. Matador goalie Jovani McCaskill earned 7 saves for the evening making this her third shutout of the season and her career. 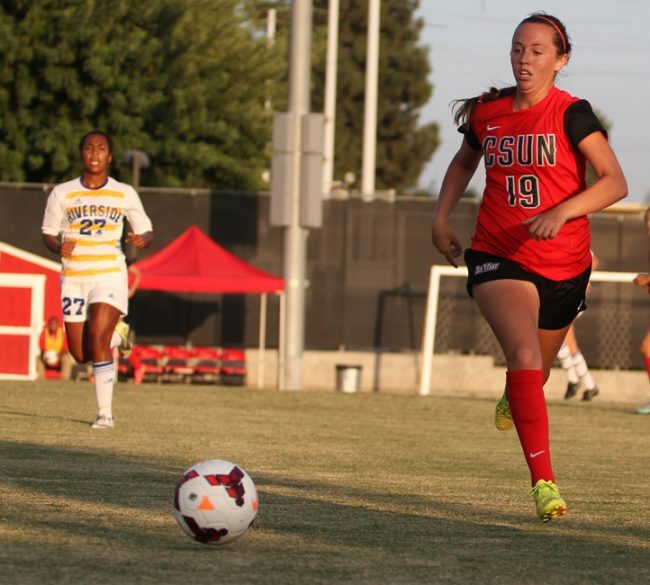 The first half saw saw equal action on both teams behalf with CSUN and UC Riverside both earning 7 shots on goal. The Matadors came out strong in the first 15 minutes but the Highlanders took control of the first half on their end of the pitch. 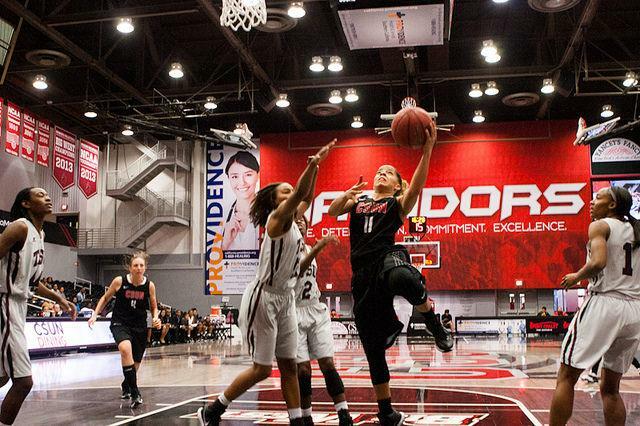 The second half was indeed a better example of Matadors recent play with CSUN earning an additional 7 shots on frame and a visible control both offensively and defensively. Sanchez found her opportunity early in the 50th minute off a cross by Sakajian that saw Sanchez feeding the ball into the net with her chest and feet. The assist by Sakajian is the ninth of her career and ties her for tenth in program history in assists. The Matadors held off the Highlanders additional 9 shot attempts made on goal to earn the shut out. 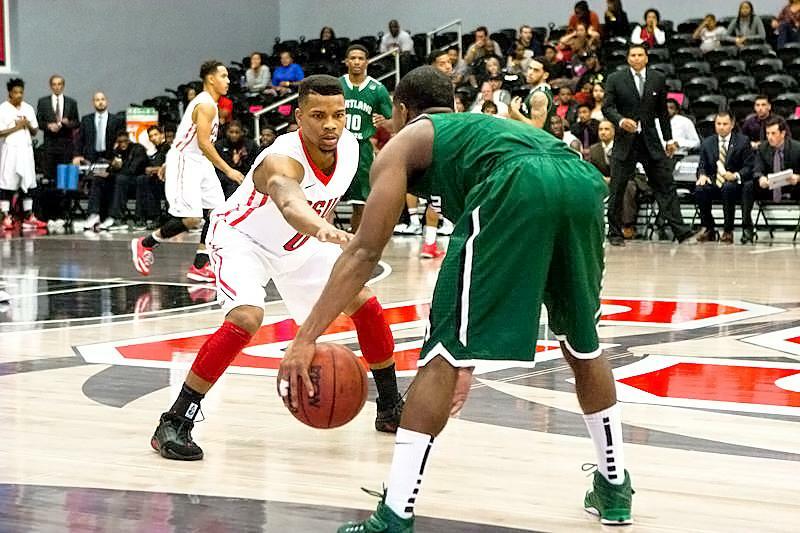 Now with 3 Big West Wins under their belt the Matadors remain at the top of the heap with 9 points in the conference and realistic attitudes despite their winning streak. “We’re still very determined, we’re not getting ahead of ourselves and focusing game by game seeing how it goes trying to get as many wins as we can,” Said Sanchez. Even with the Matadors as points leader in the Big West as of now, one weekend could change it all and see UCSB and Cal Poly, both with six points each, right in the mix. 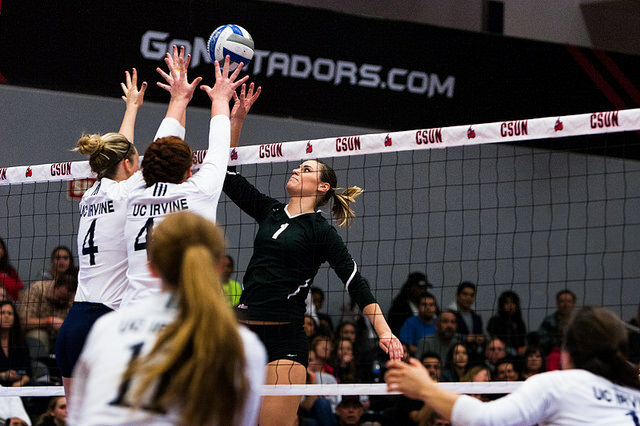 The Matadors will see their next Big West opponent at home this Thursday against UC Davis kicking off at 2 p.m. 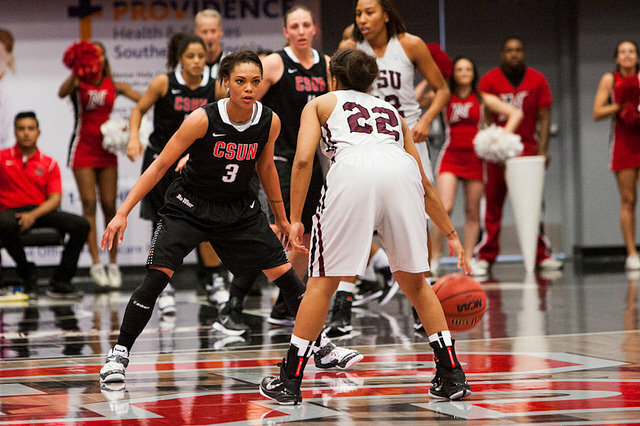 They will remain at home for the weekend with another matchup against Cal State Fullerton Sunday October, 16 at 6 p.m.